The "We all belong here" campaign is now avaialable in Spanish, sized for social media. Downloads of the images can be found here. 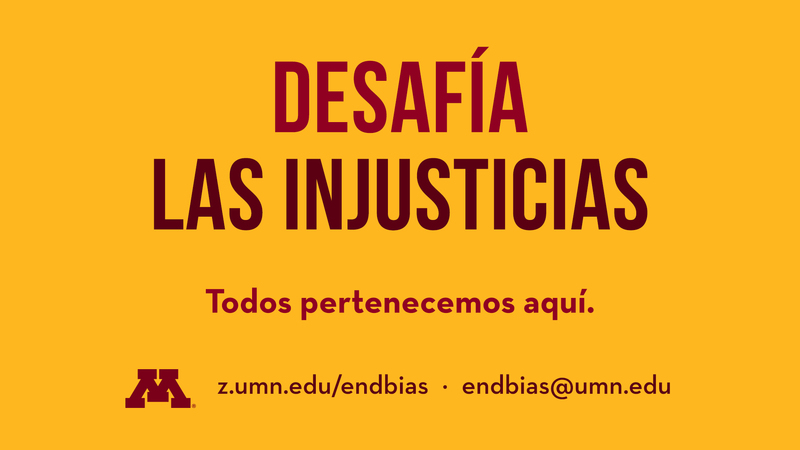 A series of anti-Semitic incidents on the University of Minnesota’s campus have prompted an investigation by campus police, The Star Tribune reported. Read the Inside Higher Ed article. The Women’s Center invites nominations for its multiple awards, grants, and scholarships, which honor the engagement, contributions, and leadership of University faculty, staff, and students. Due dates range from Apr. 14 for awards to June 2 for gender equity grants and student scholarships. For more information and to apply. 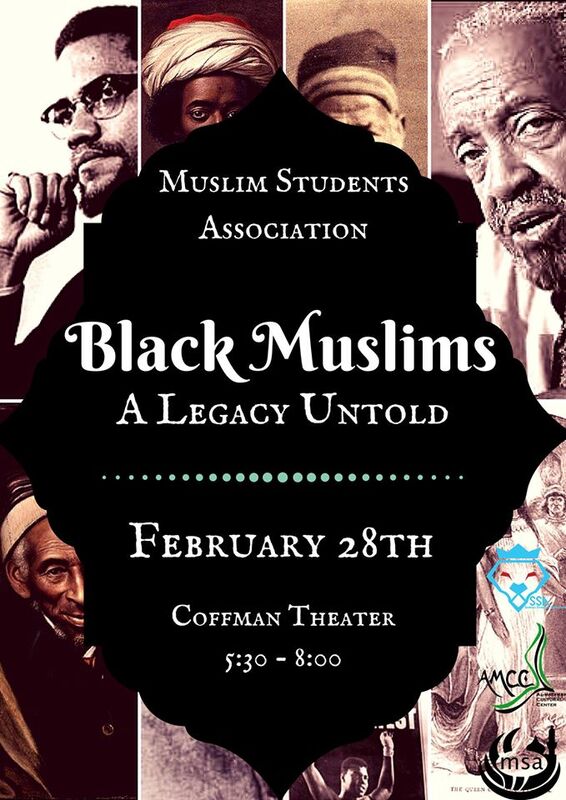 Come join the Muslim Students Association in celebrating the untold legacy of Black Muslims. A legacy that goes far beyond the common names tossed around casually. One that will delve into things such as forms of entertainment and who made a significant milestone in history. Most importantly help us celebrate the achievements made by these remarkable individuals and let us illuminate their legacy! 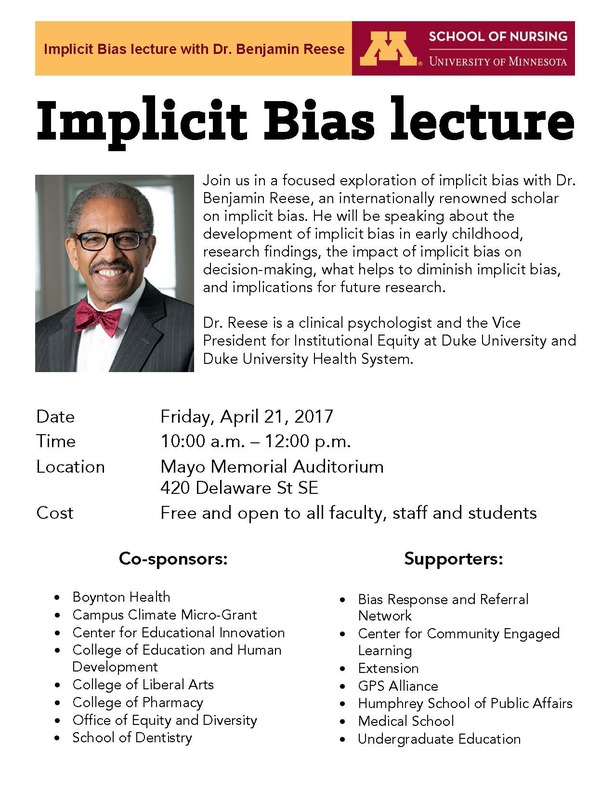 This event is family friendly and is absolutely free!